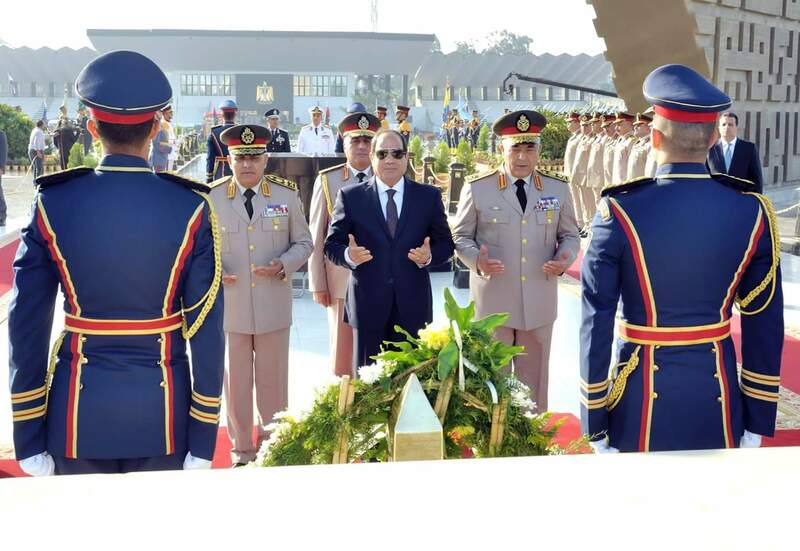 The reasons behind President Abdel Fattah al-Sisi’s unexpected decision to dismiss his Armed Forces’ Chief of Staff Mahmoud Hegazy on October 28 remain unclear, but available information hints at recent tensions between two men who have a history of personal rapport. Hegazy’s replacement as chief of staff is Mohamed Farid Hegazy, the former secretary general of the Defense Ministry and secretary of the Supreme Council of the Armed Forces (SCAF). A government source, speaking on condition of anonymity, is unaware of any specific political duties assigned to Hegazy in his new role and says that he does not currently have an office to which correspondence can be sent. 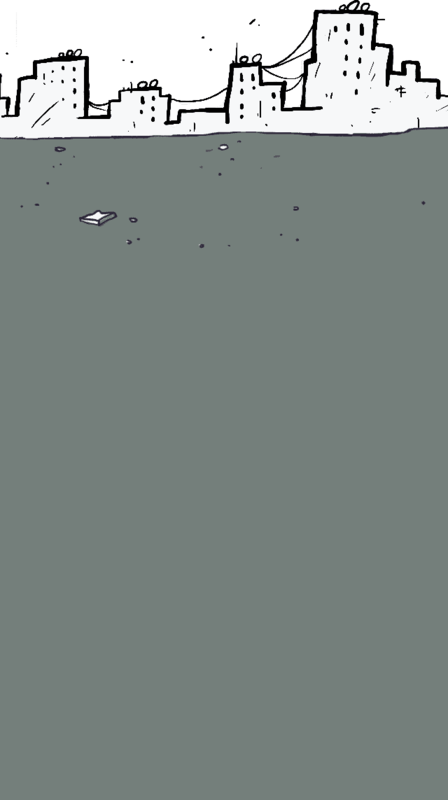 “An office may be assigned to him in the future, of course,” the source points out. They add that Hegazy’s previous responsibilities are being reassigned to three offices: that of the deputy defense minister for external affairs, the head of the General Intelligence Services and the foreign affairs minister, all under the direct supervision of the president’s chief of staff. He says that it is therefore unclear what Hegazy will be doing. Hegazy’s dismissal was seen as both sudden and puzzling due to the rapidity with which he had risen through the echelons of power in post-2011 Egypt, and because of his personal connections to the president. One of Hegazy’s most notable appearances was at a press conference after the violent dispersal of protests outside Cairo’s Maspero television building on October 9, 2011 left 28 civilians dead, 26 of whom were Coptic Christians. Sitting next to Major General Mohamed al-Assar, then a member of the ruling SCAF, Hegazy calmly and authoritatively denied the involvement of military officers or conscripts in the violence against the young Coptic protesters. Two years later, in 2013, with demonstrations demanding an end to the rule of Muslim Brotherhood-affiliated President Mohamed Morsi, Hegazy was Sisi’s second-in-command. Sisi had become defense minister under Morsi, replacing Hussein Tantawi, who had been de facto head of state since President Hosni Mubarak’s ouster in February 2011 until Morsi’s election in June 2012. Efforts to convince Morsi to hold early elections instead of terminating his rule altogether were rejected by Hegazy, who was avidly opposed to allowing the Brotherhood to participate in presidential elections or to rule, a political aide of a presidential candidate who ran in the 2012 elections tells Mada Masr, speaking on condition of anonymity. 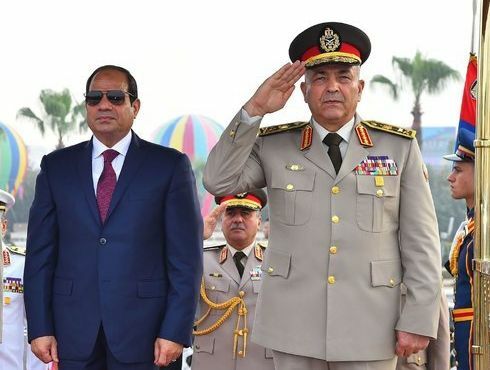 Sisi took over and installed Sedky Sobhy — who at 57 was one year his senior — as defense minister and Hegazy — who was three years ahead of Sisi in the military hierarchy — as the Armed Forces’ chief of staff. The chief of staff is considered the most powerful position in Egypt in military terms because whoever holds the post is authorized to give orders to deploy tanks. Hegazy’s appointment raised eyebrows because he was linked to Sisi through marriage: Sisi’s son Mahmoud is married to Hegazy’s daughter Dalia. Sisi, whose opposition was made up of not just the Brotherhood but also Salafis and a significant number of the 2011 revolutionaries and those who sympathized with them, was thought to trust Hegazy. The analyst says that Egyptian government officials felt that Hegazy’s duties expanded beyond military matters and into politics. For example, he directly oversaw the operations of Egypt’s Military Intelligence and the situation in Sinai, in addition to devising security and political resolutions for the conflict in Libya and Egypt’s relationship with the United States. According to another European ambassador, several Western officials who met with Hegazy came out of meetings wondering what ambitions the powerful second-in-command, who seemed absolutely loyal to the president, might have. The ambassador says some of his Cairo contacts suggested that Sisi sees Hegazy as “the Medvedev to his Putin.” The ambassador was referring to current Russian Prime Minister Dmitry Medvedev, who served as president from 2008 until 2012 as a means to sidestep the term limits mandated by Russia’s constitution, which prevented President Vladimir Putin from running for a third consecutive term. Putin served as Medvedev’s prime minister before taking over the presidential office again after the latter’s term concluded in 2012. 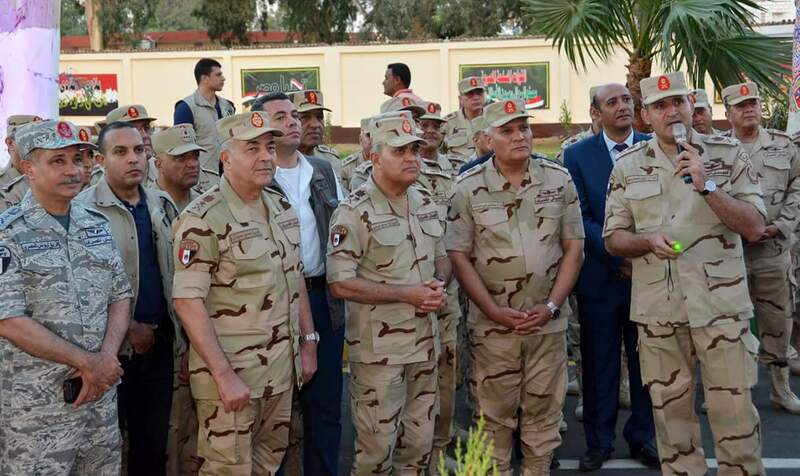 It was a few months ago that signs of Hegazy’s marginalization quietly started to emerge, when Sisi appointed Mohamed al-Shahat as head of Military Intelligence and Osama Askar as the Armed Forces’ deputy commander in chief for the development of Sinai, taking over the file from Hegazy. Despite these signs, no one saw Hegazy’s dismissal coming. According to the analyst, it left even Egypt’s top military brass puzzled. The analyst says Hegazy was called in to meet the president immediately on his return from a mission to the United States, before the October 28 announcement. This confused officials at the Egyptian Embassy in Saudi Arabia, who were in the midst of coordinating with Hegazy’s office about a visit to Riyadh, for meetings on the situation in Yemen, which was supposed to take place the following day. Any connection between Hegazy’s dismissal and the October 20 Wahat Road attack, in which 16 police personnel were killed when militants attacked their convoy in the Western Desert, remains unclear. According to the government source, an audio recording aired on a privately owned satellite television after the attack proves that the Air Force was slow to help the ambushed police patrol. The incident also raised questions about why a force from the Interior Ministry was patrolling the Wahat Road without coordinating with the Armed Forces. The announcement of Hegazy’s dismissal came at the same time as an Interior Ministry reshuffle, which included the removal of the head of the National Security Agency from his post. While authorities have not linked the changes to the Wahat Road attack, the reshuffle came in its immediate aftermath. Not everyone sees a connection between Hegazy’s dismissal and the Wahat Road incident. “After four years of equally disturbing incidents in Sinai, we can’t say that Hegazy is gone because of what happened in Wahat,” says the former military official. 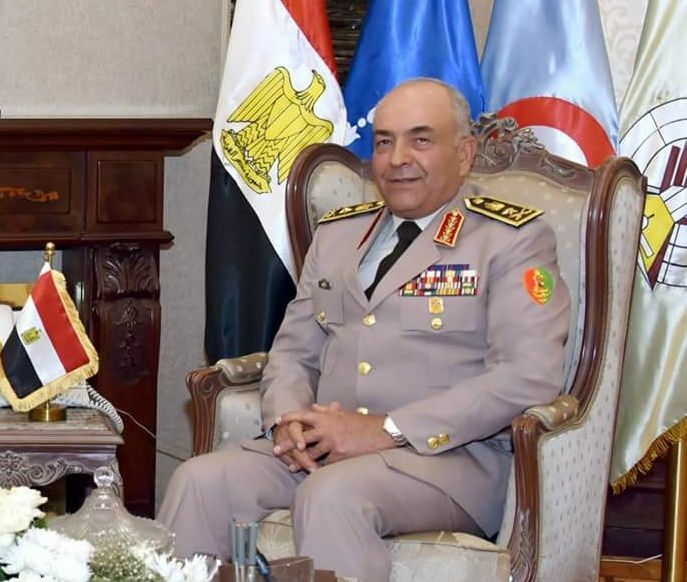 He spoke of discontent in some military circles regarding Sisi’s choices, citing Defense Minister Sobhy’s refusal to ratify the agreement ceding sovereignty over Tiran and Sanafir to Saudi Arabia as an example. The government source says the outgoing chief of staff also refused to convene separate meetings with high-profile Saudi officials visiting Cairo in the weeks preceding his dismissal to discuss the details of ceding the island of Tiran after the cession of Sanafir was completed. A Facebook post published by Hegazy’s son Moataz, just a few hours after news about his dismissal broke, suggests that his father had refused to toe the line, and that his removal from his post had not actually come as a shock. In a Facebook comment made approximately 10 days before the presidential decree that named Hegazy presidential advisor, Moataz, a supporter of Sisi, openly expressed his objection to the campaign to petition the president to run for a second term. Through personal ties to Moataz Hegazy, Mada Masr was able to ascertain that the Facebook account, which has since been deactivated, belonged to him. Sisi’s immediate sphere now comprises of Abbas Kamel, the president’s chief of staff; Khaled Fawzy, head of the General Intelligence Services; Mohamed Said al-Assar, the minister of military production, who, according to more than one source, serves as acting prime minister alongside Prime Minister Sherif Ismail; Mohamed Farag al-Shahat, director of Military Intelligence; and Defense Minister Sedky Sobhy. While the reasons behind his unexpected dismissal remain muddied, all the sources agree that Hegazy’s dramatic exit has made Sisi’s ever-diminishing inner circle even smaller. Interior Ministry reshuffle: Is the state acknowledging its security failure in Wahat?